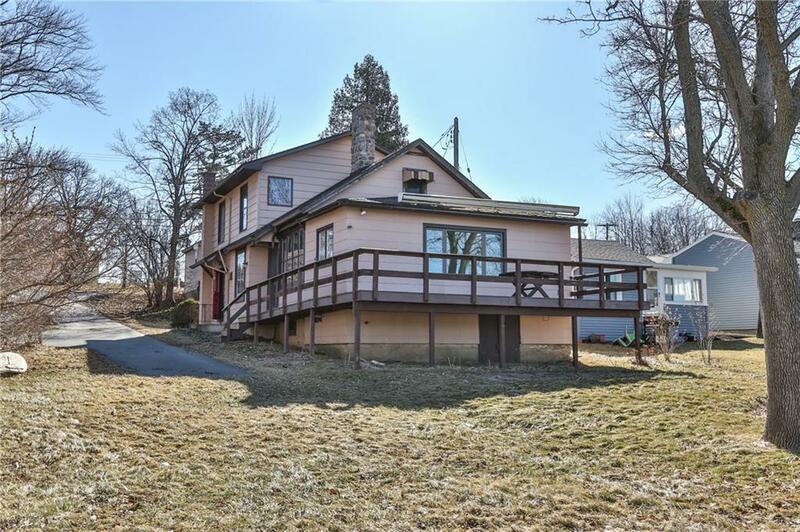 ALONG WITH THE GENTLE WAVES LAPPING ASHORE, DO YOU HEAR OPPORTUNITY KNOCKING?...FOR THE RIGHT INVESTOR THIS LONG TIME FAMILY HOMESTEAD IS NOW AVAILABLE ON THE SUNSET SIDE OF CANANDAIGUA LAKE! THIS 4 BEDROOM 2 BATH HOME IS NESTLED ON PARK LIKE SETTING WITH MATURE TREES AND VIBRANT GREEN LAWN WHILE BOASTING GORGEOUS LAKE VIEWS WITH 92' FEET OF LAKE FRONTAGE, 2 DOCKS AND BOAT HOIST ARE INCLUDED WITH SAIL. AN ADDITIONAL BONUS FOR YOU, IS A COZY BOAT HOUSE THAT HAS BEEN CONVERTED TO A LAKESIDE SUMMER BUNGALOW/COTTAGE FOR ADDITIONAL GUESTS OR INCOME POTENTIAL CALL AGENT FOR A PRIVATE SHOWING. THE SECOND STORY WAS AN ADDITION IN 1980. NATURAL GAS, PUBLIC WATER & SEWER.